Typically when I do a model behavior spotlight post, it's usually a female model. I am currently on a David Gandy group board on Pinterest, so I thought, why not do a post on this incredibly handsome man! 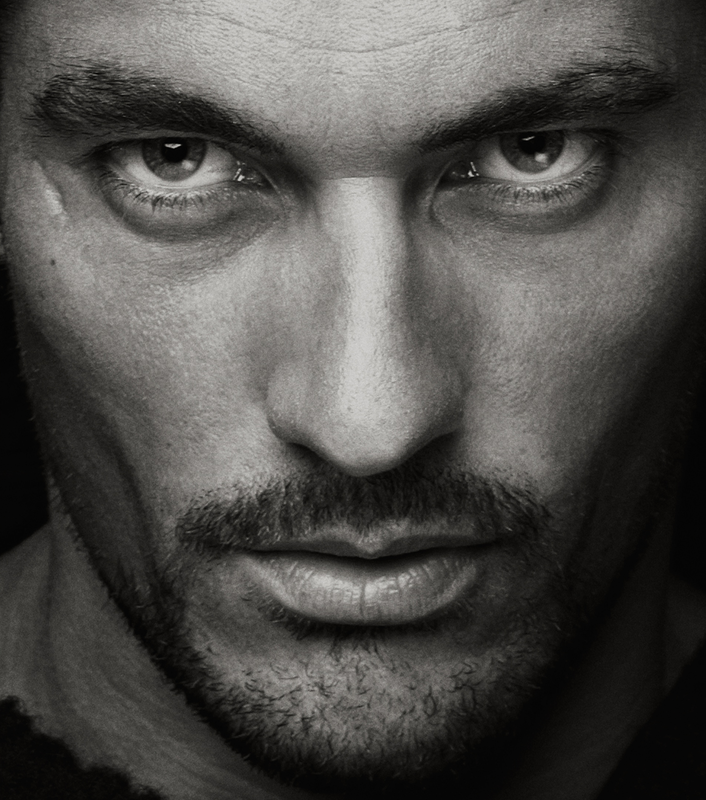 David James Gandy is a British model from Essex, England, born on February 19, 1980. Mr. Gandy stands 6'3" tall, with wavy brown hair and piercing blue eyes. He is one of the most demanded male models in the world. Gandy is best known for his work with Dolce&Gabbana, including the "Light Blue" fragrance campaign. He has been photographed by the world's top photographers such as Mario Testino and Steven Meisel. This stunning male supermodel has worked with brands such as Banana Republic, Lucky Brand Jeans, Hugo Boss, Massimo Dutti, and Marks & Spencer, just to name a few. He was just named the brand ambassador for Johnnie Walker Blue Label. His gorgeous face, and steel blue eyes, have graced countless magazine covers as well as endless fashion editorials. He has also strutted the runways for several fashion houses. The iconic model has several accolades including, being named "Most Beautiful International Male Face" in 2008, by Spanish Glamour. He was also the ranked as the 2nd highest paid male model in the world in 2013, according to Forbes magazine. Gandy was also the first male ever nominated for "Model of the Year" in 2010 by the British Fashion Council. David Gandy is not only known for his handsome looks. He has become quite a style maverick, as well as a go-to fashion advisor, and a very smart business man. He launched his very own iPhone app called the "David Gandy Style Guide for Men." It's no surprise that David Gandy has become one of the most successful male supermodels of all time, with his muscular build, chiseled face, and stunning blue eyes!